This is Page 1 of 2 - the best of January 2019! This page actually begins with December 31st and the beginning of New Year's 2019 celebrations and food. 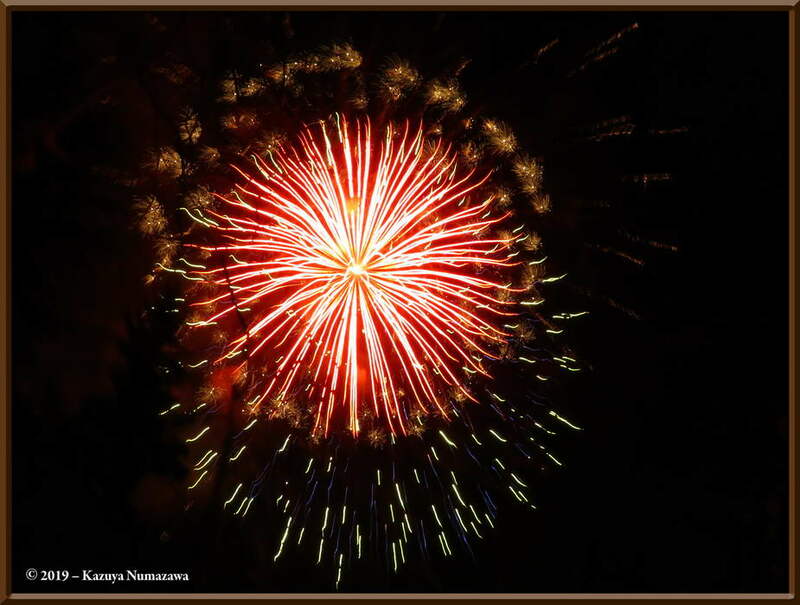 We begin with our Japanese traditional New Year's Eve meal of Soba Noodles with an egg, and then we go out for the New Year's Eve Fireworks display at the University of Alaska - Fairbanks, West Ridge Area. 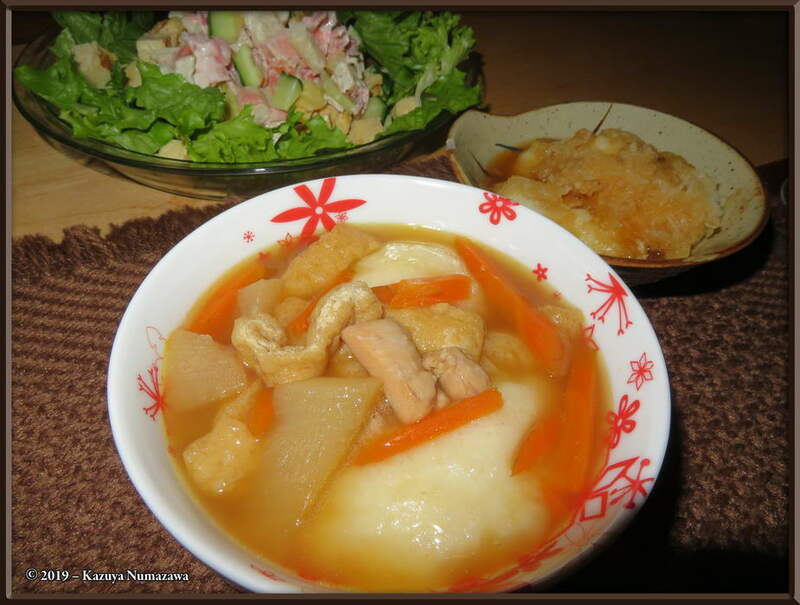 After that we see a traditional Japanese New Year's Day breakfast of Mochi Rice soup. We then jump to January 6th and a Ramen lunch - a new kind of Ramen which we found at the new Fairbanks Costco Store. 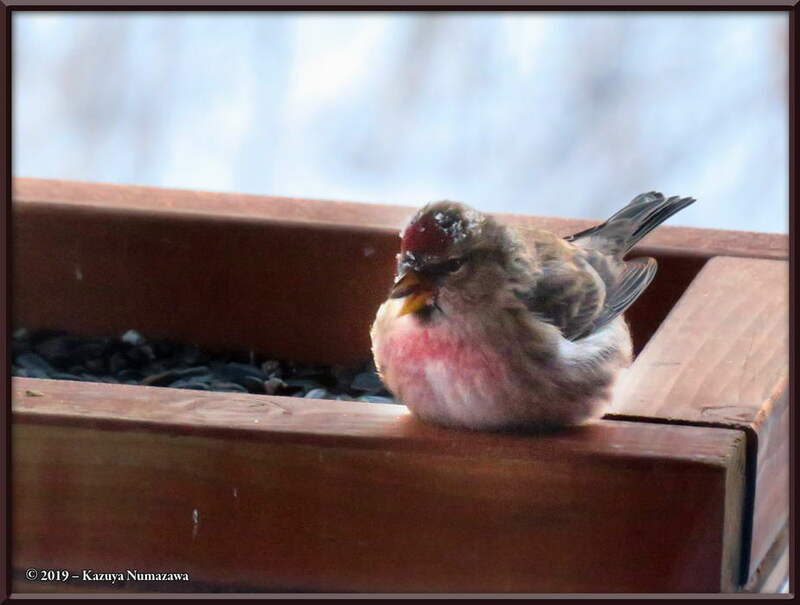 After that we show several photos of our porch birds, some desserts, some dinners, and also some sun dog photos. Click on any thumbnail to begin. 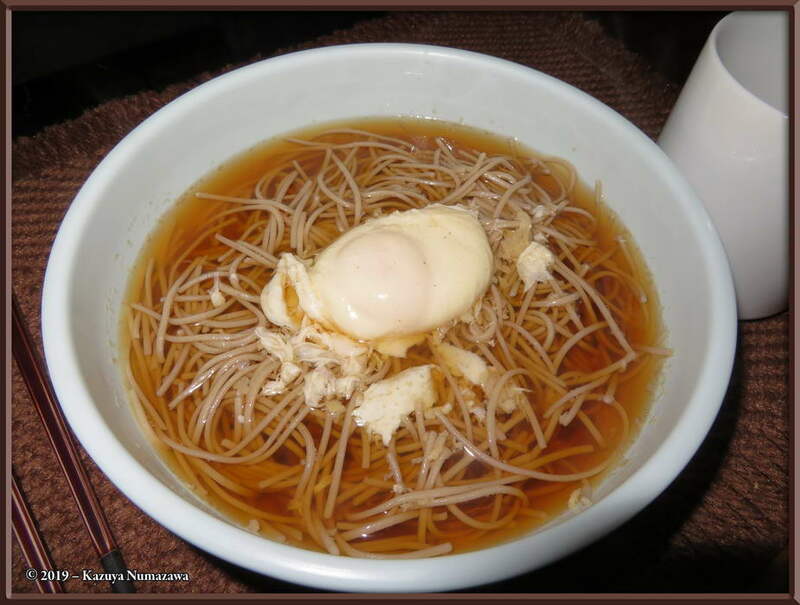 The single photo in this row shows a traditional Japanese New Year's Eve meal of Soba Noodles with a nice tasting soup base. 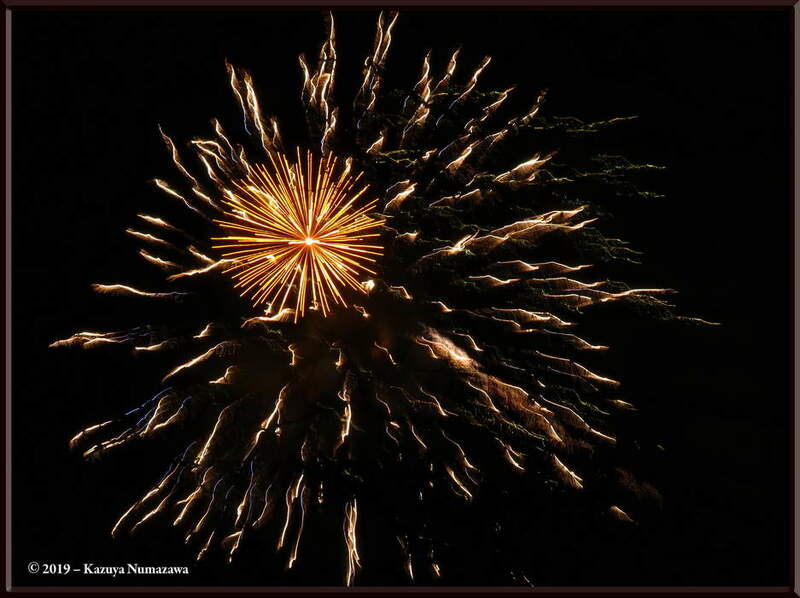 After eating the above nice warm meal, we went to the University of Alaska - Fairbanks, West Ridge Area to watch the traditional New Year's Eve Fireworks Display. 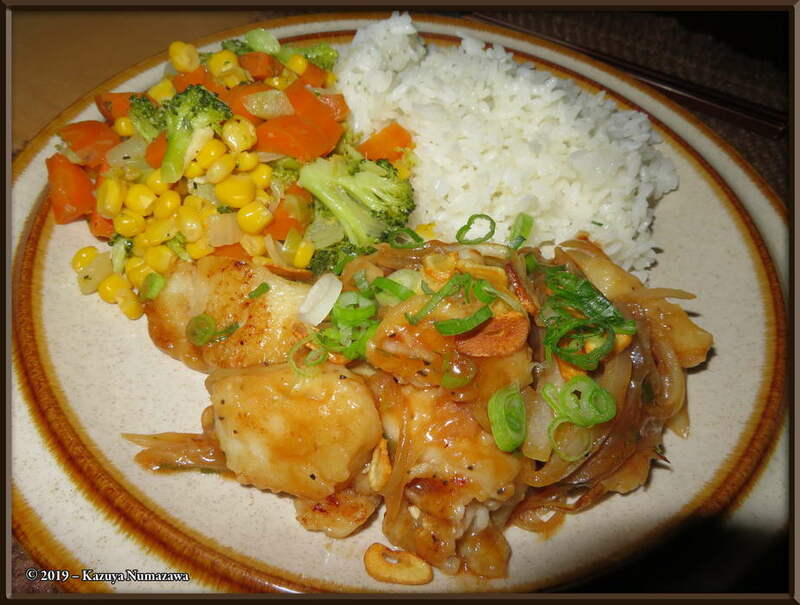 Here are three nice photos. 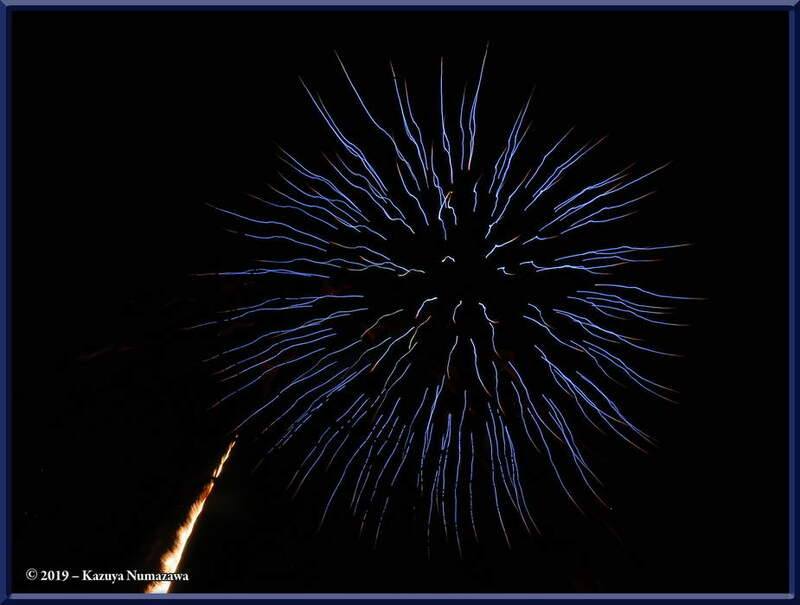 Here are three more fireworks photos. After the fireworks we went to a friend's house and joined several other of our friends for the evening of talk, games, eating and drinking while waiting for the New Year to begin. We partied until about 12:45 AM on New Year's Day and then headed home and to sleep. On New Year's morning we got up and Kazuya made Mochi Rice and then after he made that, he used it to create this delicious traditional Japanese New Year's breakfast shown in the first photo. 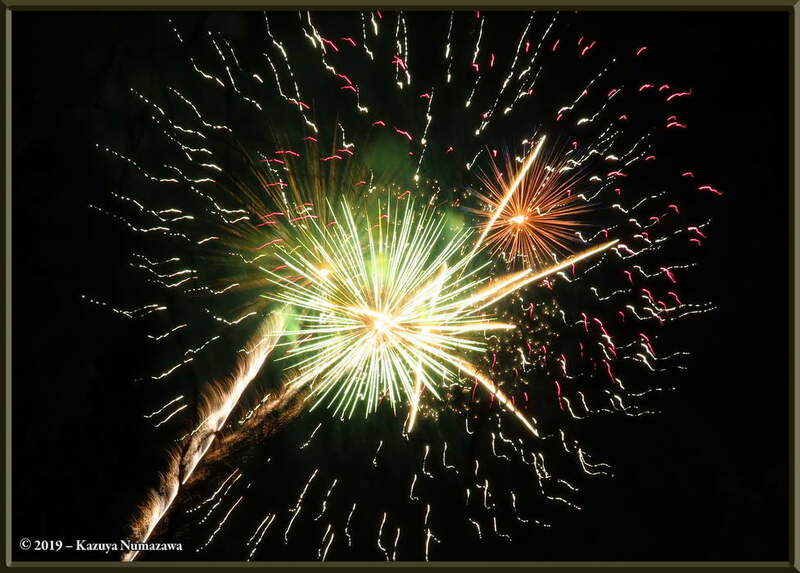 Note that the second photo in this row was not taken until January 6th and has nothing to do with New Year. 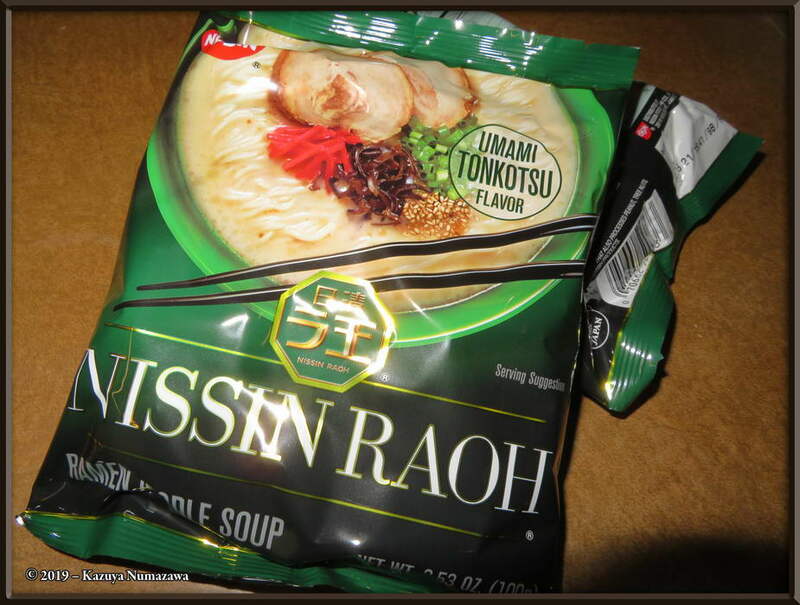 It shows a kind of Ramen which we found at our newly opened Costco Store here in Fairbanks. 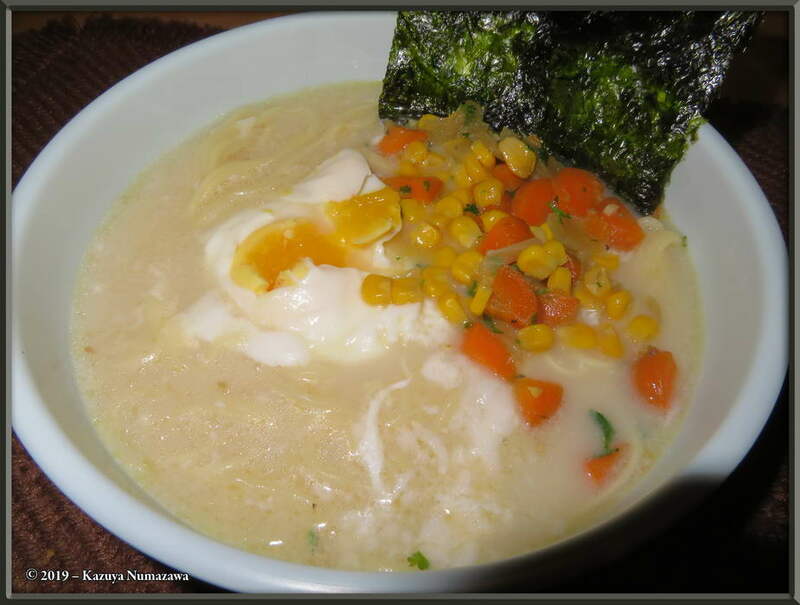 The third photo shows this Costco Ramen as Kazuya prepared it for lunch on this date. It is delicious and we will definitely buy another case of it when this case is gone. 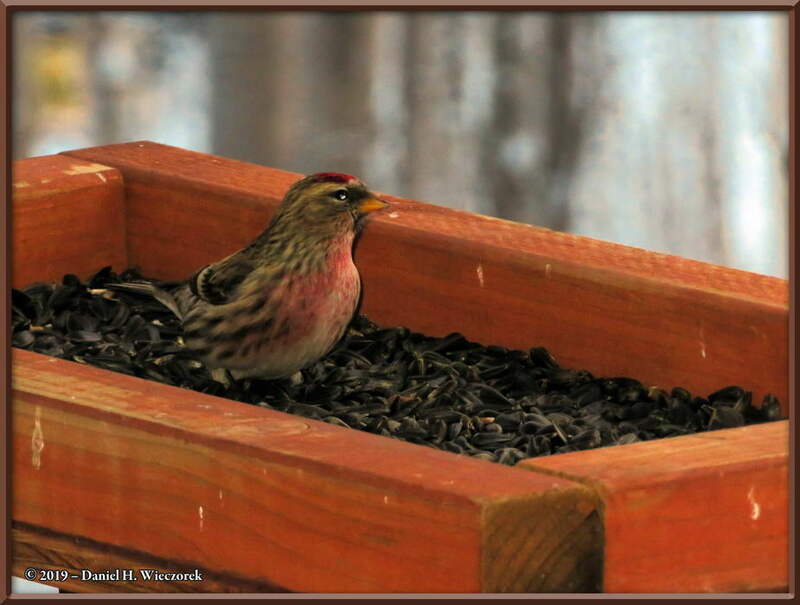 The first two shots in this row show Common Redpolls (Acanthis flammea) at our platform feeder. 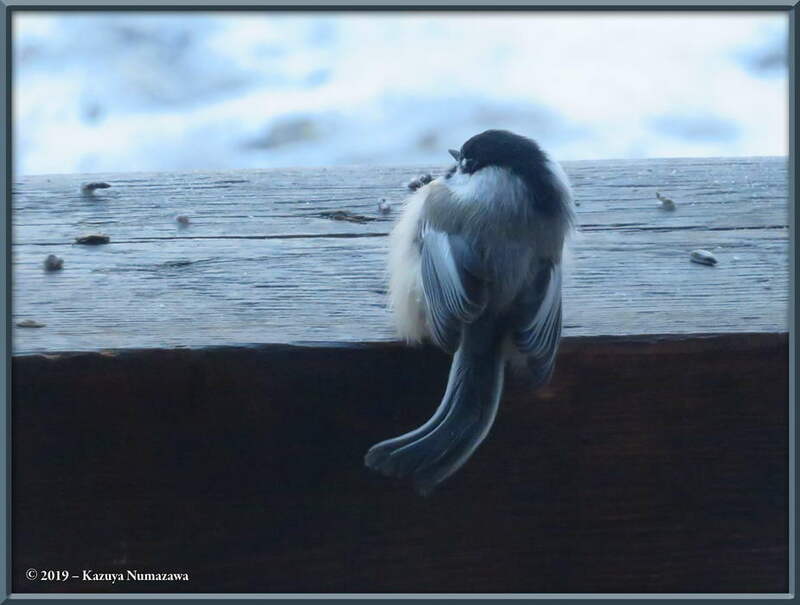 The third shot shows a Black-capped Chickadee (Poecile atricapillus) on our porch rail. 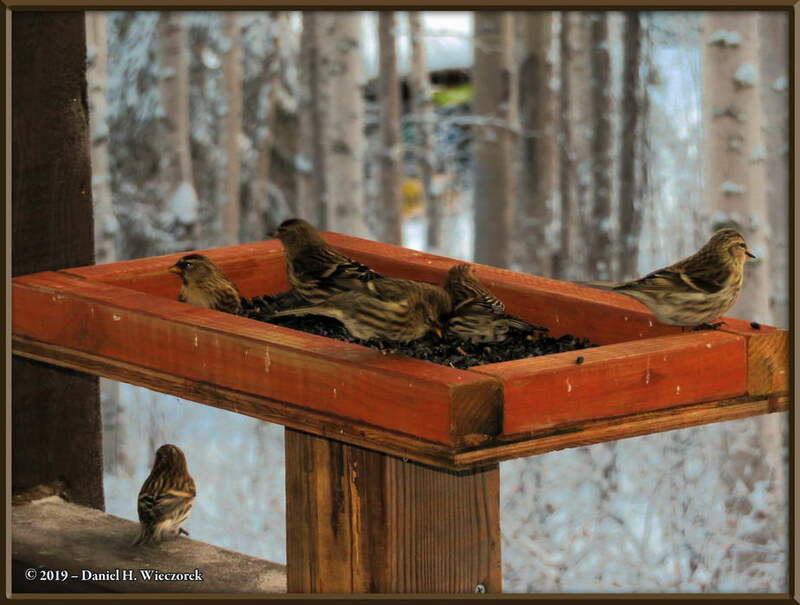 One thing you should notice here is the way all of these birds are sitting. 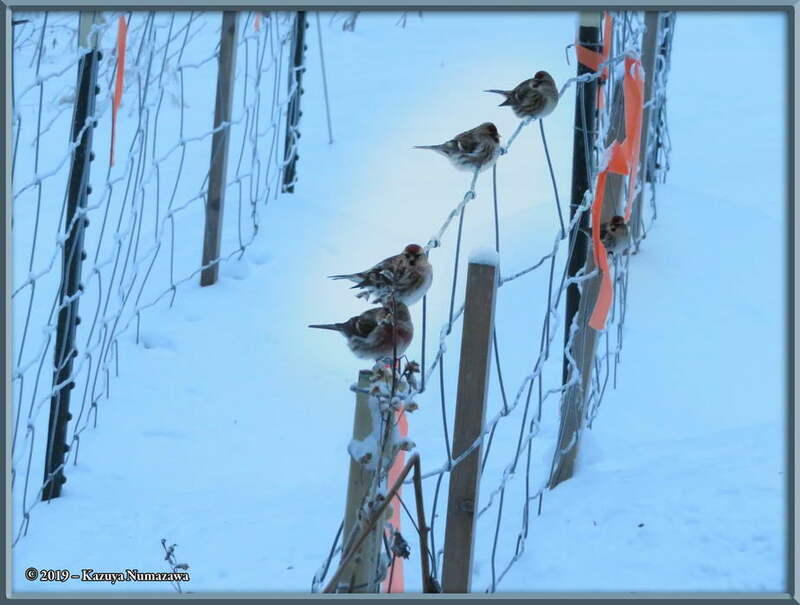 It was -22° F (-30° C), so please note how the birds are squatted down as low as possible to protect their feet and also how "puffed up" they are. 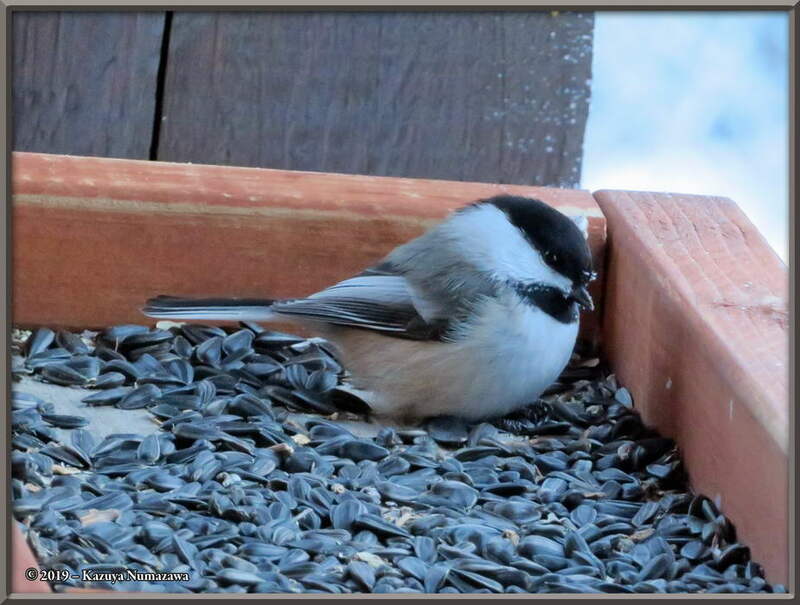 The third photo shows that the Chickadee has "bed tail" - it spent the night in a tight place, probably huddled with all of the immediately local Chickadees, in a hole in a nearby tree. We see this quite often. It's so cute. 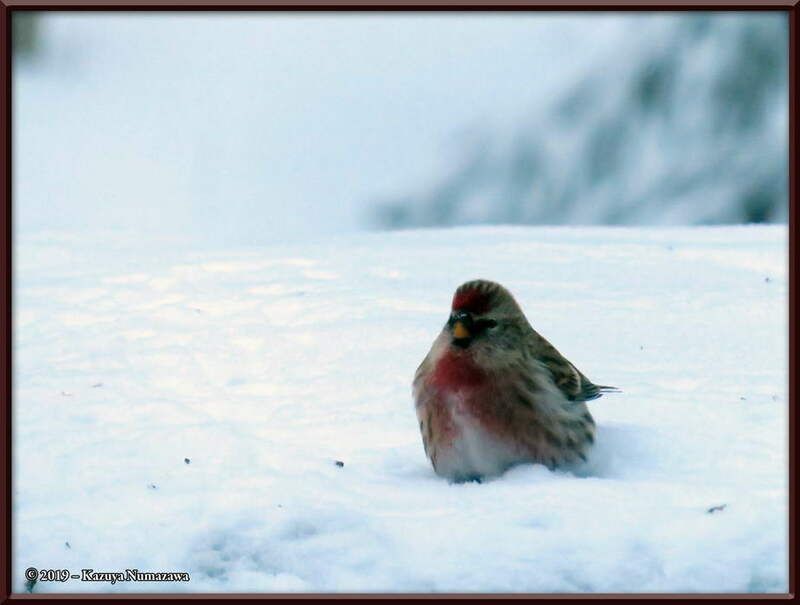 Also note the frost crystals on the heads of the Redpolls. 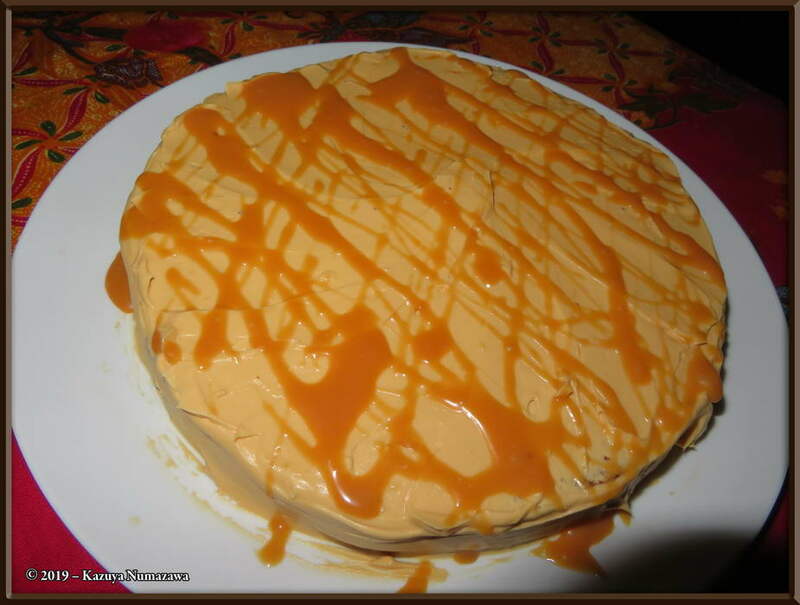 Kazuya had a special order for a Caramel Pear Cake, so this was a test to see how it might turn out. 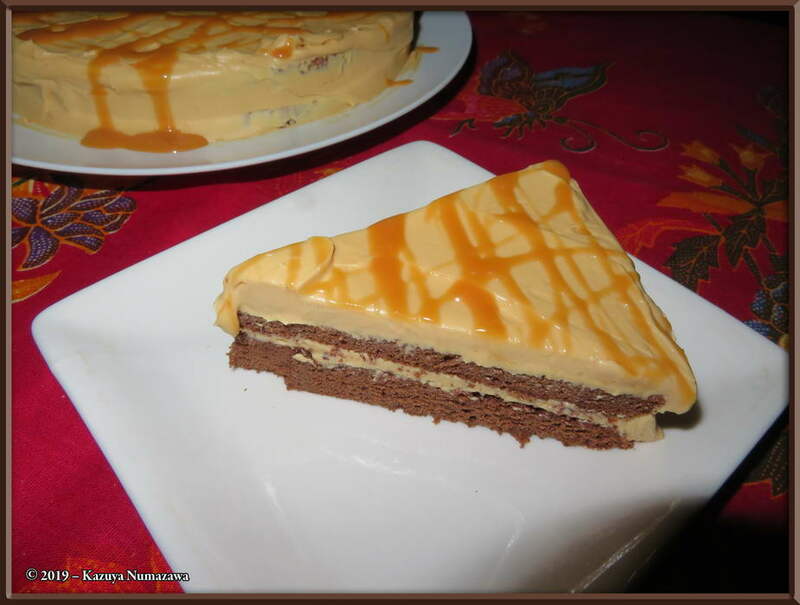 The test did not come out well, so he let us eat it (it was very delicious, just not as thick as he wanted it to be). 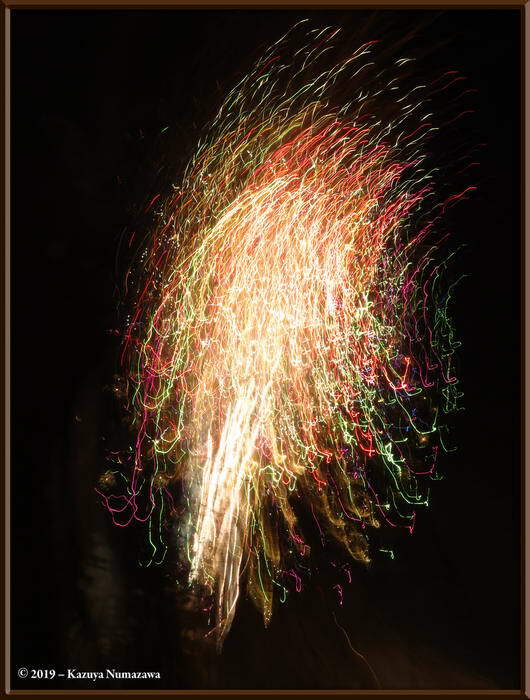 The photos of the finished one he made for the customer can be found on Page 2. 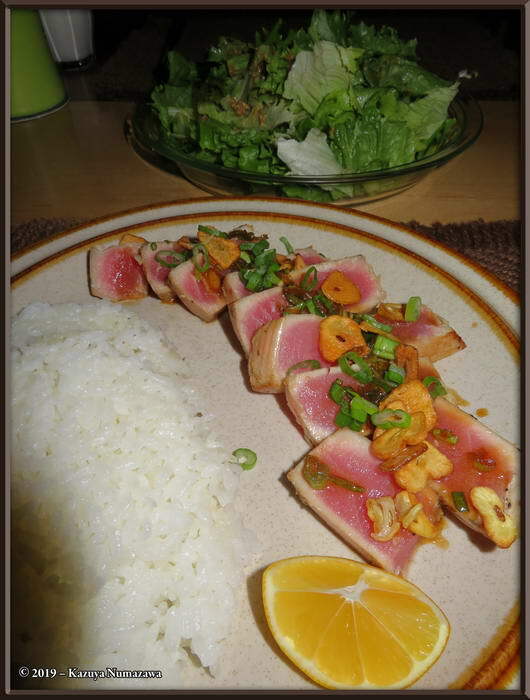 The first photo here shows the Ahi Tuna Medallions Kazuya cooked for us for dinner on January 8th. We found these in the deep recesses of our freezer, bought nearly a year ago. They were frozen in vacuum-sealed bags and were still just fine. 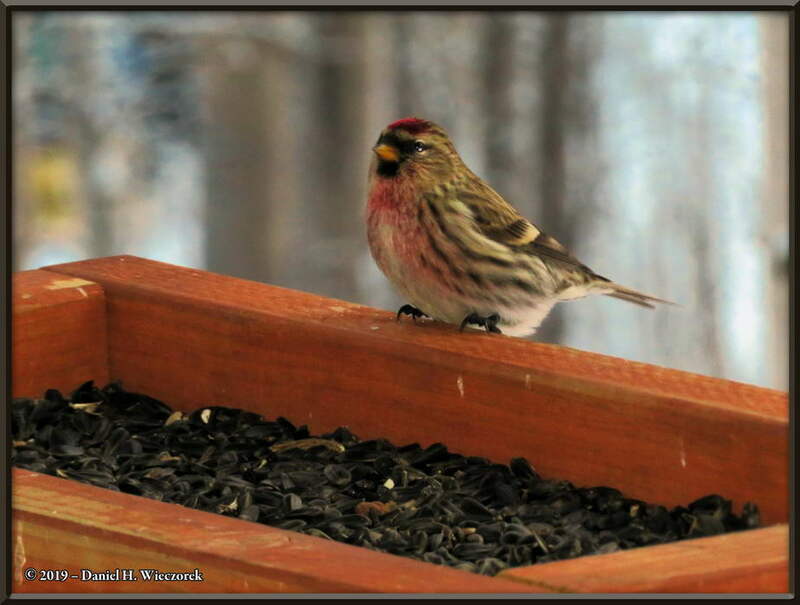 The second and third shots show more Common Redpolls (Acanthis flammea). The weather had warmed up to -3° F (-19.4° C), so they were not squatting down quite as far as they were in the photos in Row 5. 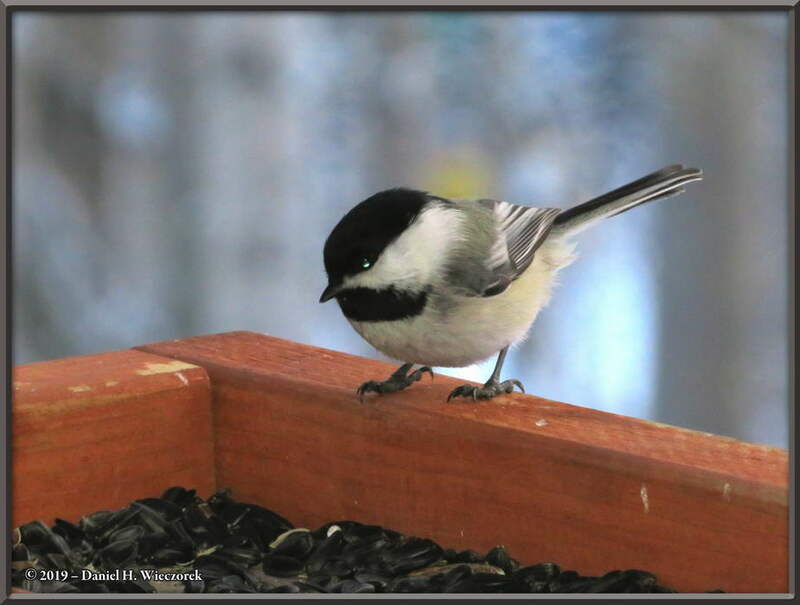 Here is a Black-capped Chickadee (Poecile atricapillus) in our platform feeder (note frost crystals on its head again) and that is followed by a shot of our dinner of Sweet-and-Sour Pacific Cod which we had for dinner on January 9th. This was also found hiding in our freezer. 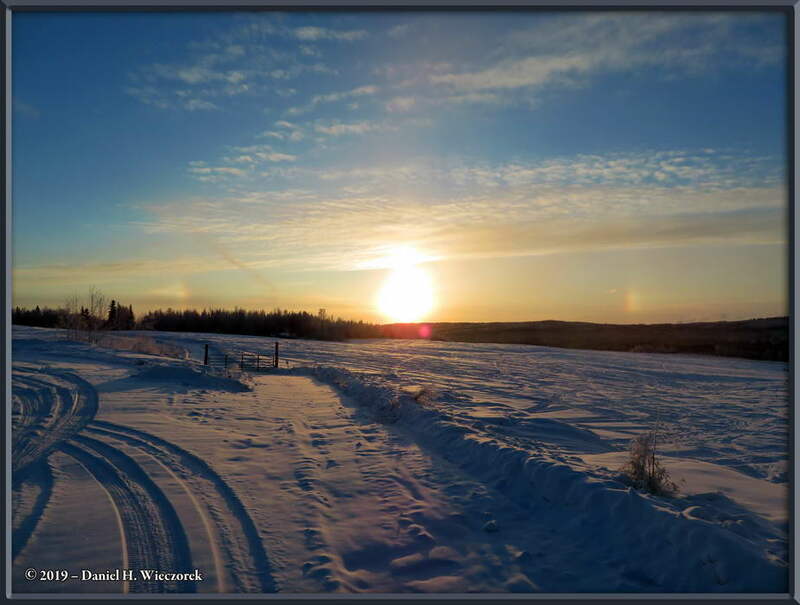 On January 10th, as we were coming home from town we noticed that there were Double Sun Dogs, so we stopped along the Chena Hot Springs Road and shot a few photos. 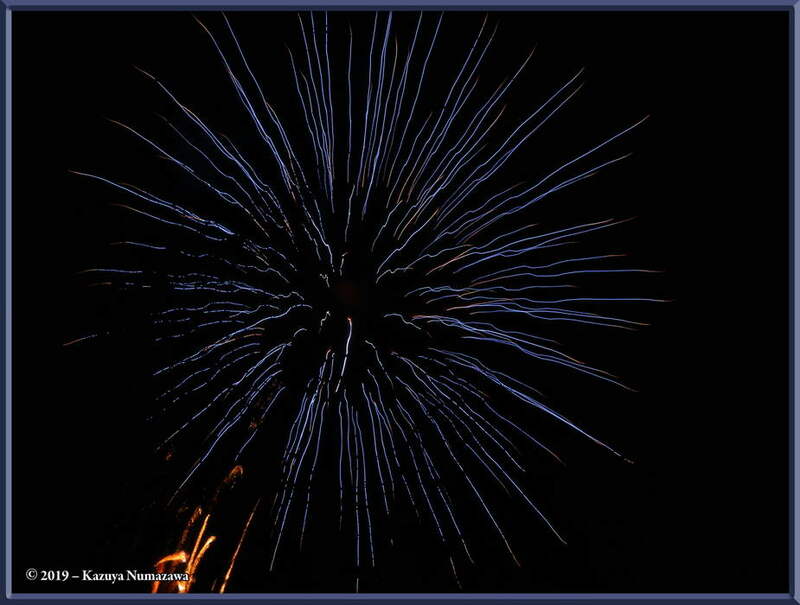 The third shot was taken from Gettinger's Field, up above our house. 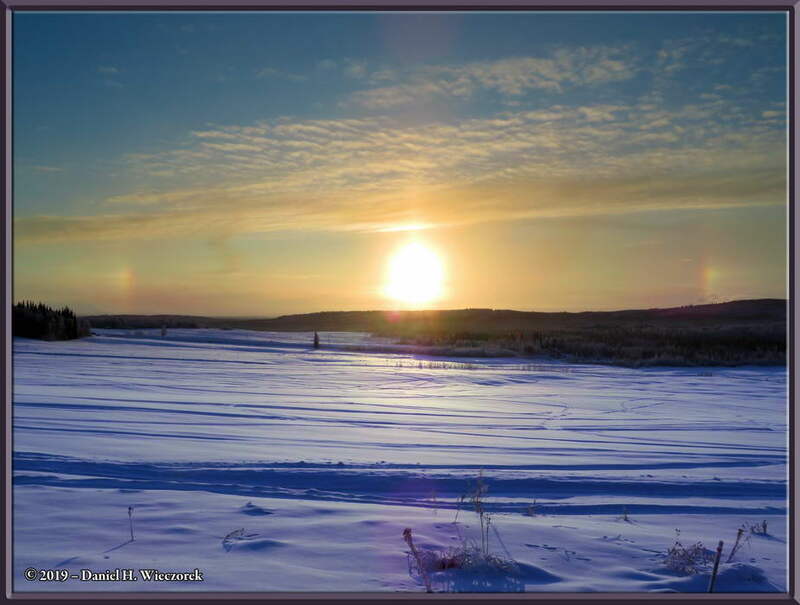 These two images of the Double Sun Dogs are identical except for the processing method. 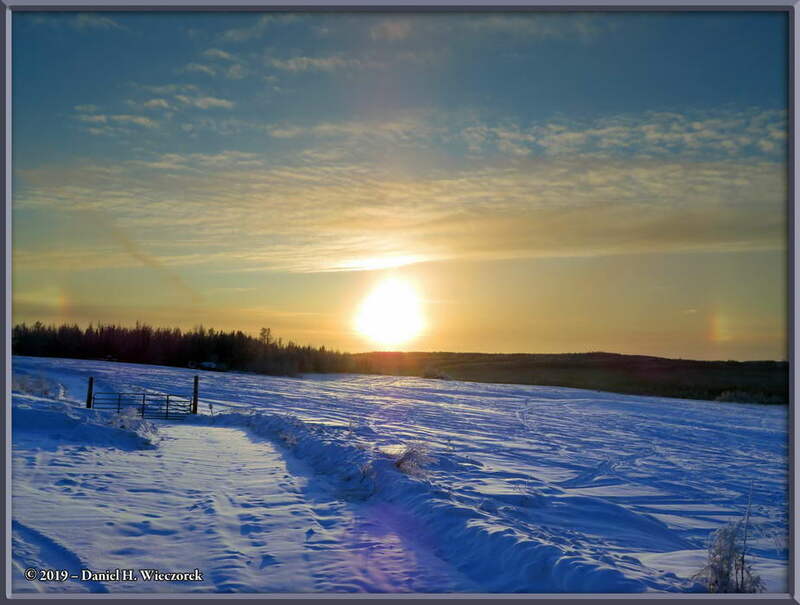 Note that the snowy field has been lightened up in the second image. You might want to go back and forth between the two images a few times to note the difference. 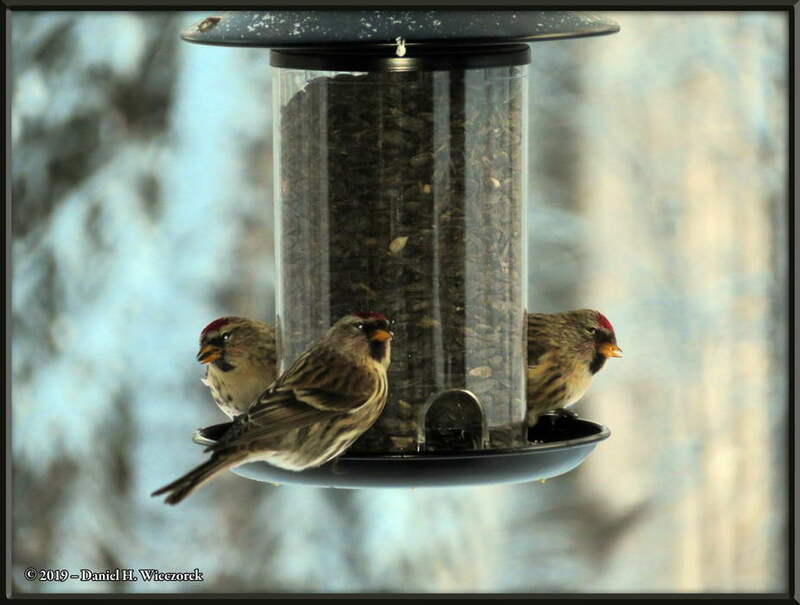 More birds. 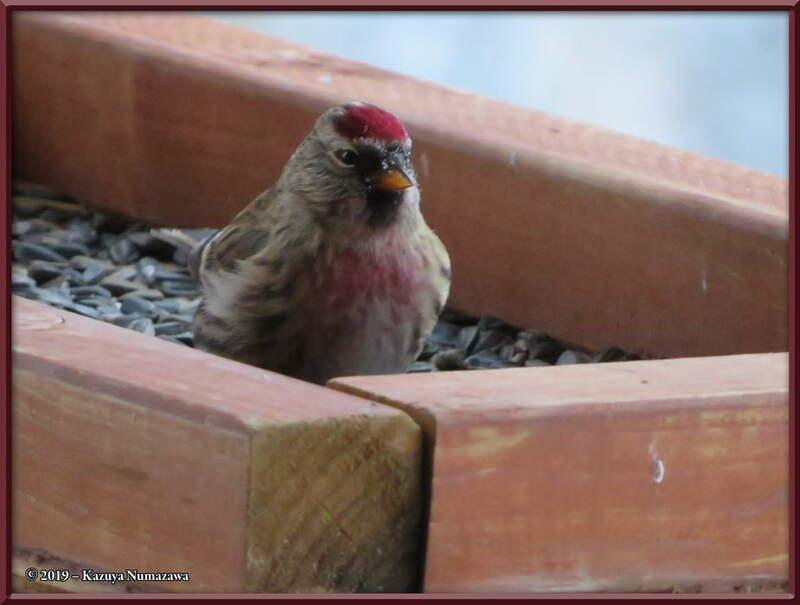 Here are three shots showing more Common Redpolls (Acanthis flammea). 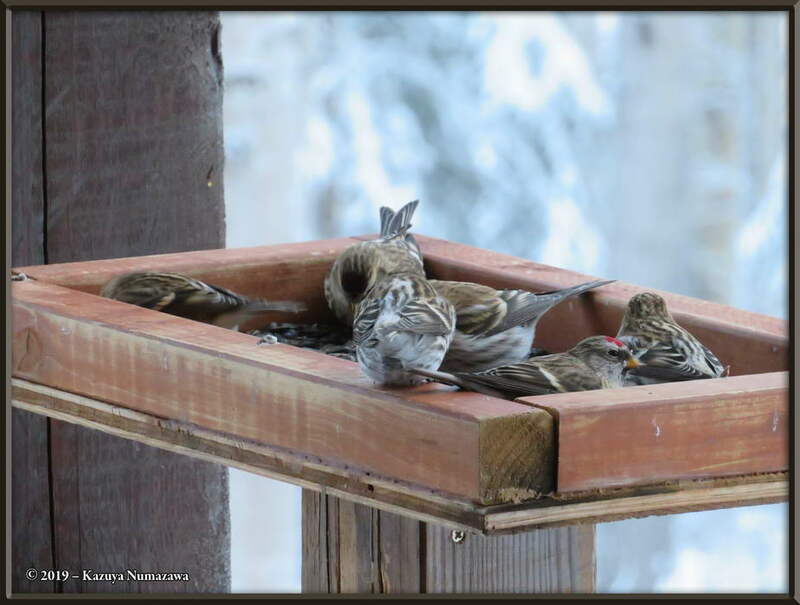 The first shot shows six of them in the platform feeder. 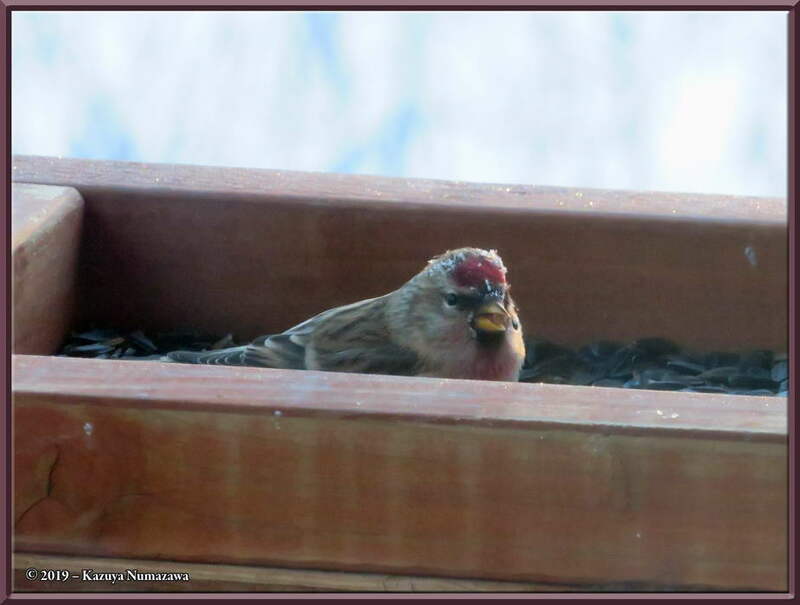 The second shot shows a single Redpoll (with frost on its head) at -20° F (-29° C). 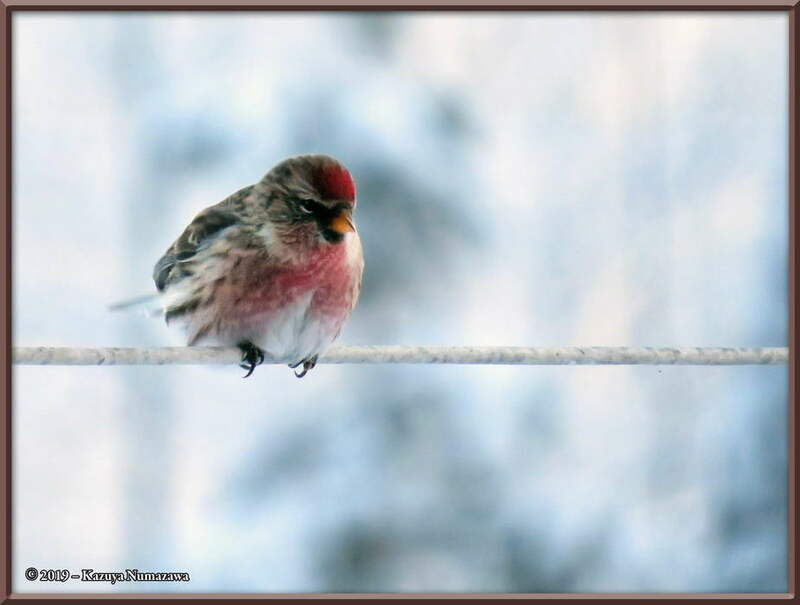 The third shot was taken the following day and the temperature has warmed up again, now it's +2° F (-17° C) and this bird is standing tall - it's so warm it doesn't worry at all about its feet. 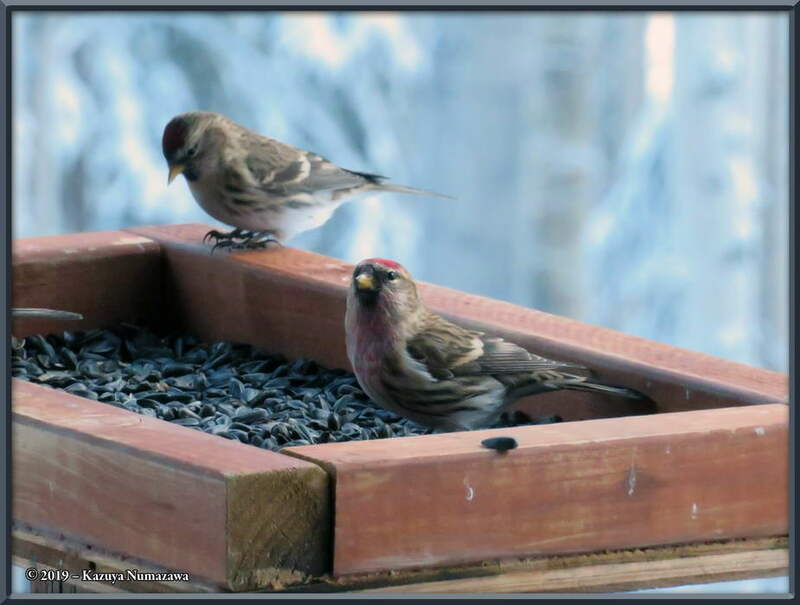 Here are three more photos of birds at our platform feeder on this nice warm day. 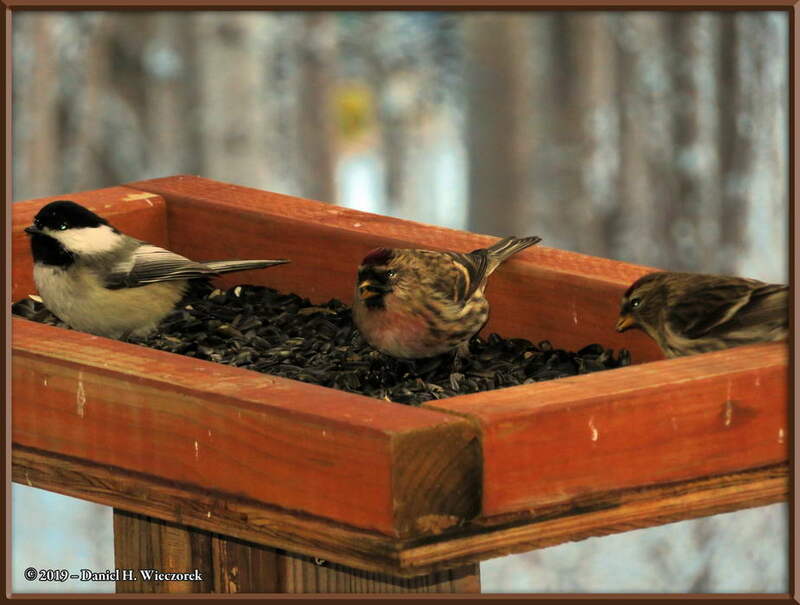 Here is one more shot of a Black-capped Chickadee (Poecile atricapillus) and then two shots of Common Redpolls (Acanthis flammea). 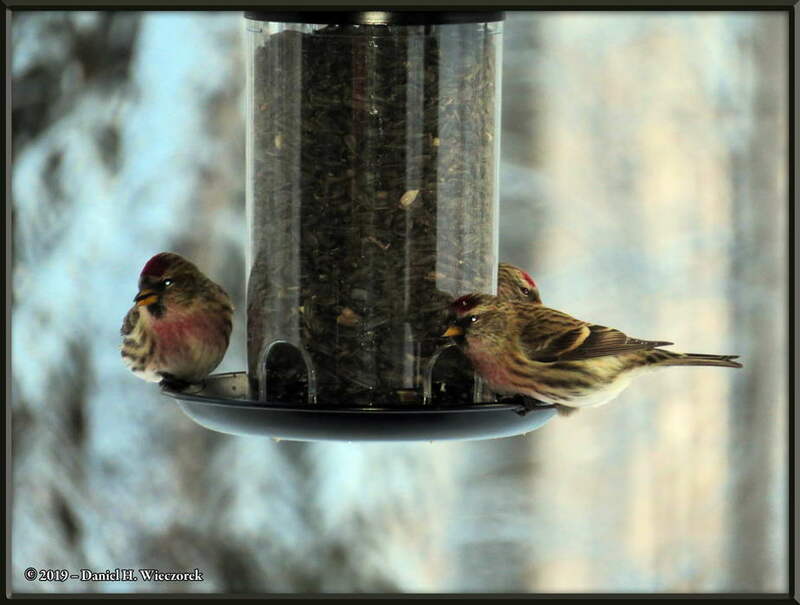 Here are the final two shots of birds for this month - Common Redpolls (Acanthis flammea) at our hanging feeder.